Tommy Conri has been burned by love, but that doesn’t stop everyone in his life urging him to find a good woman and settle down. Though he’s buried himself in excuses and his work at his diner, one woman has his inner wolf sitting up and taking notice every time her brown curls bounce past his window. Fox shifter Faith Holden owns the coffee shop across the street from her perfect man. While she’s held a torch for Tommy since they were teens, they’ve never before been single at the same time. 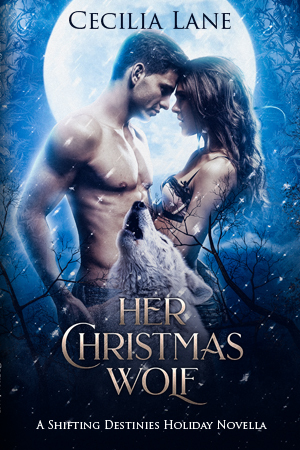 She’s determined to muster the nerve to invite the scrumptious, reclusive wolf shifter to the town’s annual Winter Wonderland Bash. The attraction between the rival diner owners becomes irresistible as they near the holiday festivities. But Faith’s dreams of sleigh rides through the snow and mistletoe kisses are dashed when Tommy's ex slithers back into town. Can Tommy forget his past wounds before he ruins his chance to make Faith his mate? Previously published in the All He Wants for Christmas Holiday Bundle!